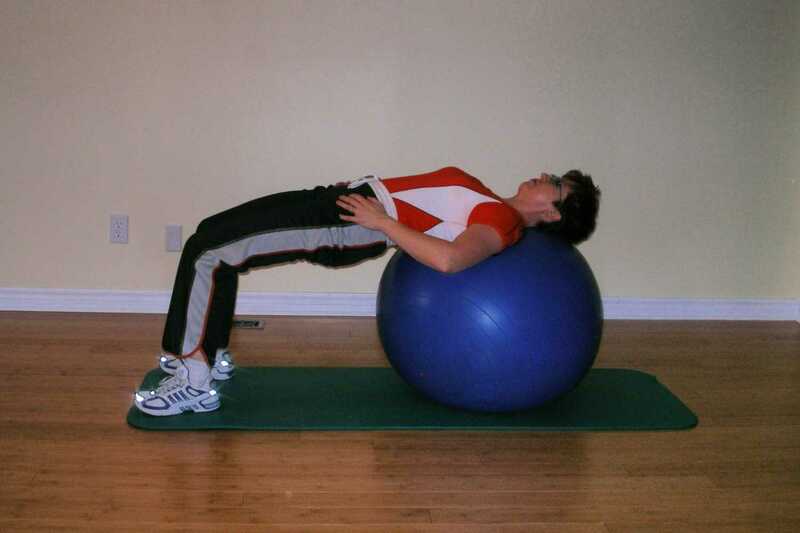 The exercise ball exercises in this basic exercise ball workout demand that you maintain a neutral spinal position throughout the exercise and you will feel what it is like to move your pelvis as an independent unit. If you've been practicing the floor exercises on this site on a stable surface you should be able to find your neutral position now in lying, sitting, standing and when on all fours. Rather than performing a set number of repetitions, don't get hung up on numbers. Do the exercises until you feel you are no longer able to hold correct form. You may feel your back or pelvis sagging or shaking. It is at this point that your stabilizing musculature has reached the point of fatigue. We call this technical failure. (Failure to maintain proper technique.) The larger superficial muscles on your trunk are trying to stabilize your body but are unable to make the fine adjustments necessary. That's why you feel the shaking. Remember, if you feel your back sagging, arching, or your pelvis tilting, you have reached technical failure and should stop and rest for a couple of minutes before attempting the exercise again. 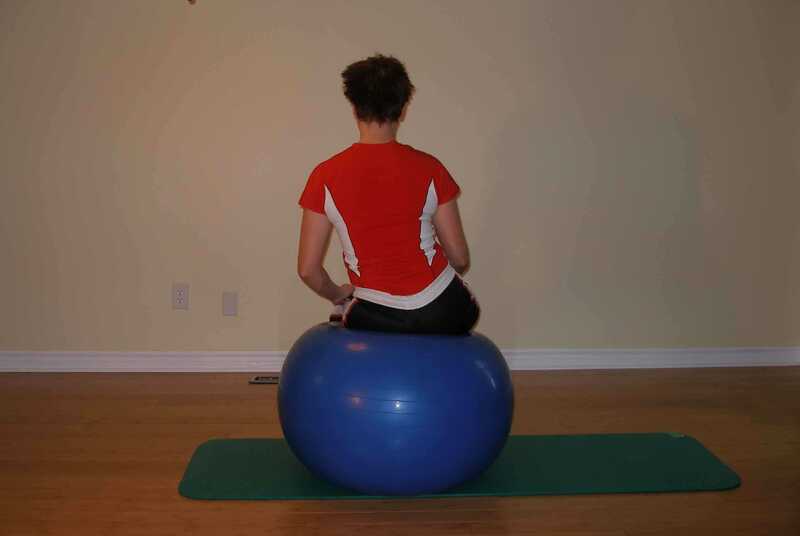 Now that you've mastered the basics of lumbar stabilization in a neutral positionon a stable surface we can now introduce the unstable surface in a basic exercise ball workout. Learning how to perform a pelvic tilt is paramount to learning pelvic control. Click on the link to get more details on how to perform a pelvic tilt. Learning how to do the pelvic lateral shift is all part of learning pelvic control. One needs to be able to control their pelvis independent of the rest of the spine. Click on this link for more details about performing the lateral shift. Learning how to get into this position safely and maintain it is necessary before you progress to exercises where limb movement is involved. You must be able to maintain stability before you can introduce mobility in a stability ball workout. This is another rudimentary ball exercise that must be mastered before introducing any limb movement. 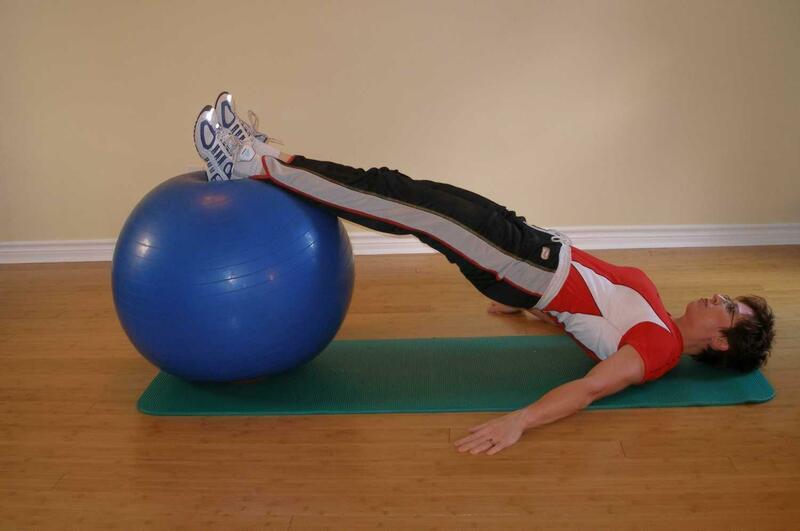 Click on the link for more details on how to perform bridging on the exercise ball. Once you have mastered these basics, move on to try the beginner programs. Exercise balls are also known as stability balls, physio balls, therapy balls, fitball, Swiss balls, ab balls, fit balls, balance ball, fitness ball, gymnic balls.